One of our readers, Anne, has a son, Ed*, who was fairly recently baptized in the Amish church. I’ve been corresponding with Anne for some time on the subject, and hope to share more with you in future. Anne and her husband have had an experience unlike most, in watching a college-educated son with a modern upbringing join one of the more closed religious societies in the country. From what I’ve gathered from Anne it’s been both a blessing and a challenge. There is a lot of discussion here and elsewhere about what an individual goes through when seeking an Amish community, but less from the perspective of family members that have experienced a relative joining. I’ve never had a family member who sought the Amish, though a few years ago my brother seriously considered joining a religious order which would have meant limited contact with his family for the rest of our lives. I remember the conflicting emotions I went through as he mulled that decision and it began to look like he was headed in that direction (a direction he ultimately did not choose). Anne and her husband have seen a similarly consequential step actually taken by a child. Although they do see each other, adopting an Amish lifestyle necessarily alters the type and frequency of contact you have. Certainly not completely though, as you’d think must be the case when you are bridging two worlds with parents on one side of the gap. As an example Anne shares that “he does not actually “pose” for the photos, but he does put up with us, as parents who just won’t give this part of life up!” You can see Ed doing his best non-pose here. One thought I wanted to pass on to you, is the struggle we’ve personally had with adjusting expectations, in areas where there are clear differences. For instance, at the wedding, the elders had decided previously that the entire 3 hour service would be in Penn. Dutch. We found out later that this was somewhat controversial in this community, as there were some who recognized the implied dishonor this could mean to Ed’s family (about a dozen came, all from far away and at great expense). And they were right! This was a very difficult thing for us. My husband’s parents, both in their 80’s, traveled the long distance from Texas to attend this ceremony. To sit for so long and not understand one word that was said, seemed like an insult to us. (They were not offended; they are too sweet and supportive of this beloved grandson to take offense!). His own group DOES use English when there are visitors, or at least, has someone translate quietly, verbally, as you are listening. That’s what we were expecting with this. But at the wedding, all we got was some hastily scribbled notes from the poor friend of Ed’s who was trying to assist us. No way one can write down everything that is being said! Was this a (surprising) instance of this community breaking the command to “honor your father and mother”? We were VERY surprised at this, and I’d love to know what your readers would think. A big thanks to Anne for sharing something that only a tiny handful of people have experienced. *The names of Anne’s son and daughter in law have been changed. Key word “decided previously” would infer that Ed knew the service was going to be in PA Dutch. He should have asked the elders if it would be OK to arrange an interpreter or if they knew of one. IF they refused, I’d consider that disrespectful to his parents. The interpreter could have been positioned close to the english speaking family to be less intrusive. It’s not a part of their planning and service, so I’d say it was up to the groom to coordinate for his family. Now, if Ed didn’t make an attempt to do so, is it disrespectful to his parents? Hi Paul and thanks for your thoughts. Yes, he did talk to them about it before the wedding. They refused to accommodate. Ed told them about the family coming from far away, but there was no bending on the issue, and yes, Ed was upset about it. Keep in mind, that though he’s been officially “accepted” by the Amish, he’s still in a position of having to prove that he is committed. I think this will be an ongoing thing for many years. Perhaps on one post I can tell you all about how difficult it was for him to get permission to court Ruth, as that’s where all of this is quite clear. One concern they have is that since the children are in attendance as well, and they do not yet speak English, they will not understand the service. I appreciate this concern, but think that we could have had an interpreter who could have verbally, orally, given us the phrase by phrase translation. This is the treatment we’ve had in every other service we’ve attended (but in other communities – not this one), and it works well. It’s done quietly, only whispered words, and you are on one side of the room, so there’s little if any distraction to others. A VERY touching thing for me was that after the service, Ruth’s mother came up to me, gently touched my arm and said, “I know that must have been hard for you: I’m praying for you and am grateful that God has brought our families together”. I could see behind her words that she was trying to comfort without being opening disrespectful of her minister’s decisions. I really love Ruth’s mom! am unsure of the spelling but suspect this is a very strict Amish group. No, actually this group has a plot to take over the state of California having had one of their own, Arnold, become governor of the land of fruits and nuts! Wow, Amish in CA. Far out! Am I understanding correctly that when your son wanted to marry Amish “Ruth” he was first baptized into the Amish church, before he could marry her? If so, about how long did it take him to assimilate into the community and be accepted before he could marry her? I would love it if you would email me privately about this, as I write Amish fiction and am trying to get my details correct about this issue! Ed desired to become Amish long before he meet Ruth. He actually courted one other girl earlier, but that courtship did not last very long. He met Ruth about a year before they married, and by that time had been in the community for about 6 years. 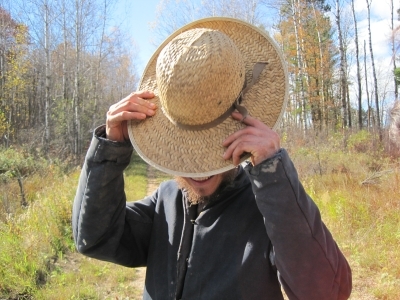 He lived with the Amish one year before joining, and he joined a community in Virginia. He met Ruth in Wisconsin and they now live in Minnesota. Anne, thank you so much for your prompt reply! I figured I had the order of events correct, but your answer is exactly the sort of proof I need. I so appreciate your willingness to discuss this! Hi Anne! Thanks for sharing your son’s story with the readers here. My wife and I have admired the Amish for many years and have recently become interested in living near an Amish community. Last summer we visited the Ethridge, TN settlement. Two weeks ago we visited Lancaster, PA for the 4th time and in 2 weeks we are headed to visit the Holmes Co., OH area. Any ways…we live near Richmond, VA and have recently learned that there are a couple of small communities here in VA. We’ve also learned that a couple of groups that were here in the last few years have left. I’m curious which community in VA Ed joined. Did it happen to be either Nathalie (Halifax Co.) Or Charlotte Court House? Thanks. We live very close to you, as we are in Charlottesville! Small world, huh? Our son first found this group when he was a student at VA Tech. He used to visit them on weekends and was enamored of their way of life. They were an old order group south of Blacksburg in the town of Whitegate. The community had problems as many decided to modernize. so it split, and many in Ed’s group moved to various places. One of his favorite families moved to MN, and that was the draw to that area, where he now lives. I’d love to know where you end up and what you know about communities in VA. It’s very hard for the Amish to live in VA because of state regulations and cost of land. Wow, what a small world! I actually learned here, thanks to Erik, about the 2 settlements I mentioned in my first reply. We actually took a trip down to both on Monday and Erik’s descriptions of both were spot on. The group in Halifax were clearly more prosperous and reminded us much (visually) of Lancaster on a so much smaller scale. The one family we saw out working in their garden waved and smiled as we drove by (or more likely appeared like stalkers of some sort by the 3rd time by!). The Charlotte Court House group seemed like the group we visited in Ethridge last year. Very interesting since they are only 30 minutes or so apart. I think I had heard about the group that Ed joined from a friend recently who is looking for land out in SW VA. He mentioned that there were some parcels out there for ssale that were Amish owned by a group that had split over technology issues (primarily phone was what he mentioned). He mentioned that the properties are having trouble selling because of the size of the homes and lack of modern amenities. I also recently heard of another group near Wytheville in an area called Burke’s Garden that didn’t make it. The land prices in the Halifax and Charlotte CH areas are probably some of the cheaper in the state, so I can see why those communities have elected to settle there. We admire the Amish for their simplicity and desire to be separate from the world. As a Christian, I don’t agree with some key theology and so I don’t have the desire to become Amish. However, I desire a lot of their lifestyle for my family and believe we could learn a lot from them by living nearby. Out of ignorance, can I ask about which type of regulations here in the Commonwealth that they find most difficulty with? My memory is really bad regarding specific ordinances the Amish had trouble keeping up with. I DO know, however, that one reason our son left, was that the house he purchased did not have a foundation that met code. It would have cost thousands to meet this regulation. The county told him he was not allowed to occupy the house and would have to move out. This “house” was a cabin built by the Amish for an English family, who then later sold their entire large acreage to two Amish families, of which our son was one. So the cabin was very well built. It also did not have well and septic that met code and that too was prohibitively expensive. You know that many Amish will not borrow to buy a home/land. When they have used cash to make the purchase, they don’t have much left over to remedy conditions the county finds unacceptable (at least he didn’t!). And they do not use realtors to assist them with purchases, so they are often taken advantage of and buy without having full knowledge of broader state/county requirements. As a realtor myself, it drove me crazy to see how they would go about making a purchase! In our son’s case, he was fortunate, as the other Amish family who had purchased this parcel simply bought him out. He got his cash and was able to buy 18 AC of great farmland in Fertile, MN, for only $18,000! He had enough left to build his house, which is really a nice home, as well as a barn, etc. But the other thing they complained about was higher property taxes than other places; this was another negative. Also, VA was looking in to some regulations regarding livestock that would have made their endeavors in this area impossible…wish I could remember those details! But VA is known for higher regulation (of course, it’s all in who you compare yourself to!) and with a small Amish population, they have not been pushed to make exceptions for these people. I think it’s sad, as this is a great state for Amish to live in, and they are usually a big asset to the surrounding communities. I can’t think of much better for this state than to have an Amish community in the Blue Ridge Mountains! I am truly touched by your story and your love for your son and his new life. I am working on a show for Discovery Channel and would like very much to talk with you in hopes of helping other parents, families understand when their child moves in a direction not so familiar, i.e. Amish, and how they move forward. I cam be reached at cccapo@earthlink.net if you are available to talk. "If it suits," please say more. The Discovery channel is the one that makes LGBT stories and will no doubt turn your son’s family into a cult for the establishment to discredit them. Please, please do not do it. “decided previously” could very well mean “just before the service started.” Typically the groom would have been considered disrespectful to the elders or leaders if he had requested that they do something other than what was the standard. And since he is a relative newcomer (Elmo Stoll recommended that newcomers do not speak up until they have been members for ten years)this would have been doubly so. He would have been viewed as a troublemaker, even more so because it was not his home congregation. If anyone should or could have intervened, it would have been the bride’s father since the wedding would have been at his home and he was from that congregation. But he too, may have been uncomfortable, since it was his daughter that was marrying an “outsider”. Having said all that, I have always been quite uncomfortable in an all German service when people who speak only English are present. The Old Order Mennonite group where our family is, have changed considerably in the last forty years in that respect. We were at a wedding where the bride’s aunt had left the OO and married a Christian man not from an Anabaptist background. Although there was not as much English as sometimes, the reading and preaching were about one third English. The practices of the Old Order church are under constant pressure. People leave because of discontent, marry English speaking partners, or raise their children in English. Now, because of their earlier discontent, the church needs to change its practices to accommmodate those people at weddings and funerals. The situation with Anne’s family is different and I would have personally been quite uncomfortable with using all German. But, when we consider the pressure the Old Orders are under, I can understand the elders’ decision even though I disagree with it. I would encourage Anne to be supportive of her son and not read too much into this issue. Ed was attracted to something in that Old Order church and by making an issue over the German service, he would have been helping to destroy part of the very thing that had attracted him in the first place. Keeping a low profile and focusing on the things that led Ed to make the big commitment is sage advice. Thank you, Osiah. Yes, this is very well said! And I’m sure it’s not the only time we are going to have to remember to prioritize what Ed has been drawn to in the OO community, for everyone’s sake. Yes, I agree, it is an easy choice; better the strictness inside than the corruption outside. It is for a very good reason they do not use english. Interesting article here. I would love to hear more on this story and what the family has and is expierencing. It had to have been a huge shock to have their college educated son, decide to join the Amish. Would love to hear how he came about meeting the Amish and his decison to join. I could see Ed’s smile peeking out from his hat there! I wonder, how well does your son understand PD? How many years has he been in the community now? Hi Erik! This is a very neet post! 🙂 I know for sure what this family is going threw. My husband and I are joining the Amish also, except in Topeka IN. We will be moving in the next 2 months. And what his parents experinced is what our familys are going threw. They are happy for us in some ways and others they tend to be a little upset with. For one they don’t like the fact that we wont have a phone in our house in case somthing happened. Also they wonder why we want to live our lives so hard each day. They don’t quite understand when we tell them that we feel that we have been led from God. With God all things are possible 🙂 They also don’t like the fact that we won’t have a car. They will be a little over an hour north of us. So we would need to hire a driver or they pick us up. There is alot to give up, and we understand that, but they seems not too. The dutch langish is another thing. We are learning easy words right now. I feel like I’m in 1st grade all over again. In church services the family we have been staying with will wright what is being said, and like mentioned they can’t get every word down. But as soon as we get moved they think we will pick up pretty good when were around it all day. We will be renting a doddy house and their will be 6 childeren sharing the same land. This is a huge step for us but we have been in a slow process of trying to join the amish for over 2 years now. We started out in a mennonite church, then to beachy and now Old Order Amish. It has been quite a journey. Not an easy one but as I said before with God all things are possible. This truly is an amazing story and journey thus far. I would like to talk with you more about your new life. If you have a moment I would appreciate it very much. What a fascinating story. I do hope you’ll be able to tell us more. Anne’s comments are so thoughtful. What an astonishing exercise of tactfulness and patience on the parts of all the family involved. Wow, interesting. I would say that took much understanding and acceptance. praying for them all. I have been to 2 Amish weddings and they are blast. A literal translation of the Deitsch word for wedding is ‘high time’. If Rd & Ruth would have had a ceremony in English, they would have had a ‘special’ wedding, a non-traditional wedding. Amish do not change easily. Incorporating English into the ceremony where it has never been would have been so new, conservative Amish just could not and can not accept that. The clothing is from a somewhat lower than main stream ordnung, so new ways just don’t happen there. In a place like LaGrange or Holmes Co., there may have been more acceptance for making changes to benefit outsiders, but not in a conservative group. Anne, I would be very interested in your story of how Ed got to court Ruth. I was told that the church cannot prevent 2 members from dating each other, nor 2 non-members from dating. A completely different issue is the acceptance of parents and other family members. I have seen a forbidden marriage turn a young lady very sour, until she won her way. Very unusual. If you don’t want to tell the story publicly, send Erik your email address, and we can correspond privately. Interesting post today! Anne, I feel for you that they did not provide a translator. I don’t know if this was unusual or not but I can really understand wanting to actually know what is being said at your child’s wedding! I’m thankful Ruth’s mother was understanding and reached out to comfort you. I also would love to hear more about how this transition to becoming Amish took place. I hope Ed and Ruth have a wonderful life together! On a funny side note, yesterday I started reading “Grace Leads Me Home” by Marlene C. Miller. It is an autobiography about how Marlene, who was not raised Amish, joins the Amish church, marries, etc. (she had children and grandchildren). Anne, do you know if anyone wrote down the sermon? At the two recent Amish weddings we attended, someone was asked or prepared to record the sermon in a notebook in writing, at least some or most of it, because they wouldn’t tape or video it. If it was written, could you see a copy of it? A book has been written about parents who tried to go plainer (though not Amish) and home-school, but the grandparents felt the grandchildren were being deprived. The title is, A SONG FOR YOUR HONOR, by Kay Evans, published in 2005. Thanks for the many thoughtful responses! I’m piled high with work today, so don’t have as much time to respond as I’d like, but here are some answers to your questions. Linda, yes, the sermon was written down, though there was a great deal of it that our translator did not write. And it’s impossible to write quickly enough to get all that was said…still we were grateful to have that much. I have a copy of it in my folder at home. Lance, you are correct that this is a very traditional group. I don’t blame them at all for not having the main sermon in English and we did not want that. But a quiet translation off to the side would have met everyone’s needs. Yes, I will tell you all more about the courtship when Erik thinks the time is right. It was very interesting, very sweet! Richard, your comments are right on. And of course this is not the first time we’ve had a conflict of cultures, nor will it be the last. When Ed joined, he did so because he felt this was a Christian group actually LIVING as Christians: and he has a huge desire to see that they struggle to be Bibilcal in all they do. I know he was concerned that this “rule” overrided all other considerations, but we all did the best we could with it. I personally think the command to “honor your father and mother” is one of the most neglected commands in Scripture, and not just on the face value meaning. I think we also neglect our Christian history, the traditions and positions of the “church” throughout the centuries, choosing to impose the limited dictates of our individualistic concerns (the American way! ), but that’s not a topic for this blog!) Also, our son is fluent now in both languages and often serves as a translator for a service, when English speakers attend. Rachel, may God bless your family as you move forward into this adventure. It will be an adventure for all! And you will learn the language, but it’s definitely something to work at. Ed carried around flashcards for months just to assist with vocabulary. He joined the group about 6 years ago and it took him about 6 months to be comfortable with the language. I think mastering the language was helpful to him, in providing acceptance by the Amish community. Lee Ann, yes, Ed had a big smile for that photo, which tells the whole story! I’m so glad Erik included it here. The only thing you are missing out on was the accompanying giggle! So many good comments by all – thank you! About two years ago my husband’s co-worker passed away suddenly and all the guys (and their wives) he worked with were invited to the funeral. He was OO Amish which is also the church I grew up in. Most, but not all, of the guys at the shop have some Mennonite background so would have experience with the Pennsylvania Dutch language. I believe I was the only one that could understand the service very well. Even the OO Mennonite men who have PA Dutch spoken at their church services were kinda lost. The language spoken at church, funeral, and wedding services is a much higher German than the everyday PA Dutch. As an interesting note, the main funeral service was held by one of the business owners so the guys all knew him well. The question was asked later (to his wife) why he wouldn’t have spoken more English so that some of the non-Dutch attendees could have understood better. She said it is very very difficult to switch the languages when you are so used to always doing it the same way. I can understand this kind of, because there are many phrases used in Amish services that I understand but still couldn’t find a good English translation for them. That being said, I do think it would have been a great way for these ministers at Ed’s wedding to humble themselves and try hard to at least have a small portion of the service in English for the parents of the groom. The excuse/reason that the Amish do not change easily does not mean that their self-imposed traditions are more important than honoring the groom’s parents. Just my two cents. Oh, and what happens if Ed should ever (God forbid) pass on to his eternal reward before his parents? How horrible would it be then if they wouldn’t be able to understand the funeral service? Weddings and funerals are not just for the sake of traditions, they are also for family. Thanks for the comments Rachel. I totally agree. Especially in a community that so deeply values family life! Traditions are rightfully there to protect the deeper values, and have an important place; but ultimately they are a tool, not an end in themselves. I pray he won’t be seriously disillusioned in the future with his adopted community and culture. The Amish are after all, just people. No better than the best of us and no worse than the worst of us “outsiders”. Mary, you are so right! And I know he has already met with some disillusionment. But he still feels this is the life God has called him to. And in spite of some of the cultural weirdness we have to deal with, I think I’d be disappointed if he ever decided to leave the community. It just seems to fit who he is! I read this posting to my son, Mark, who joined the Amish, also. He said he’d like to meet Ed and his wife, sometime. Also, he wanted to know what community they are a part of. Regarding the speaking of German in the service, Mark said that this caused a controversy in his community. Not too long ago there was a wedding in the community and most of the service was in English. Both sermons were in English. I wasn’t there but Mark was. A lot of the people in his community and the ministers in the other districts did not appreciate that most of the wedding service was in English and the clear indication was given that this was not to happen, again. A part of the service in English but not the whole service. Mark asked me to say to Anne and her husband and family that he’s sorry they were offended. He’s sure that the Amish didn’t mean to be offensive or insult them. But this was an Amish wedding. An Amish wedding is a church service with marriage as its theme. Amish services are in German. That’s just how it is. Mark asked me to relate, if Ed had married a girl of the Greek Orthodox faith and the wedding was in a Greek Orhodox church. Would the service have been in English because Ed’s relatives dont’t speak Greek? Just something to ponder. Mark asked me to mention that years ago when he was in college he took a class on Eastern Othodoxy. As part of the class they visited a Greek Orthodox church service, a Russian Orthodox church service, and a Serbian Orthodox church service. Even though there was an entire college class visiting, none of whom could speak the Greek or Russian or Serbian, yet the entire church services were conducted in the languages common to those churches. I know at 89 1/2 I’mi doing good to still understand English. I don’t understand one word when Mark gets to jabbering in Pennsylvania Dutch with his friends. Another incident that Mark asked me to relate to you that caused controversy in his community. It seems that awhile back there was a wedding and a number of the young folks that helped out as table waiters, etc. were from what Mark calls “higher” churches. I guess those are churches that allow cars and electricity and such (Beachy and Mennonite churches?) Anyway, a lot of the people in Mark’s community didn’t appreciate how some of these young folks were dressed, haircuts, etc. A ruling was made that in Mark’s community, no more weddings could have young folks help out who were not horse and buggy Amish. Anyway, these are Mark’s opinions. I wouldn’t have known about any of this if he hadn’t told me. To answer your question about a service in another church (using a different language), I need to clarify one point. That is, we did not at all expect the service to be in English! We did however, hope that we would be able to understand the main point of what was going forward, through the use of an interpreter (which had been our experience in the past). As for outsiders helping with a wedding dinner, I agree with this community’s concerns, and this may be a good rule to follow. Serving at the dinner afterwards is not the same as witnessing the vows made before God and the church, so maybe it’s not so critical. And if outsiders wish to come in, they cannot bring their worldly things along, like immodest dressing or hair cuts that call attention to the individual. All of our family members who came were careful to dress appropriately. I must say, as the “mother of the groom” it was nice that I didn’t have to go out and buy something just for the wedding! Have since learned the vows your son and daughter-in-law took? Pathway Publishers prints a book that has the marriage vows that a variety of Amish use and they are also translated into English. Also, the baptism vow your son took are there too. That book is named “In Meiner Jugend” (In my youth). Another book of use to you would be “1001 question and answers on the Christian Life”. Also by Pathway, it is a explanation of the Amish faith and beliefs. Both books were $1 each and shipping for orders under $10 is $2, so you can get both books for $4. Prices and shipping amounts are about 3 yr old, I hope they have not changed. It seems some people may tire of Amish traditions. Did you ever think about it that the world has traditions, too? Two college-educated Amish — now that is something! If anyone slept during the service, they didn’t understand it in their language, either. Anne, your input has added much to the post today! Thank you. Way back in 1963 I joined a religious order in the Catholic Church and the ceremony when I made my vows was in monastery, language Latin…lasted about 2 hours. My family ate with other families at a picnic outside the monastery…I ate with the community in the dining room. Things have changed now since Vatican Council II. I visit the Amish frequently and often time I see the similarities with both of our faith customs. I go to weddings, but arrive at the last 20 minutes where the vows are pronounced….otherwise it is hard to sit that long and not understand. I know that the Amish way of life is very different than the one of our contemporary world, but I think that they have something very very special. In their own way of life they have kept a simplicity and community life that is appealing to many in the modern world who often feel alone and connected to all kinds of devices for community and communication. I have come to appreciate their way of life as a very rich way to live out the gospel and one which brings a lot of peace and happiness for most of them. My advice to Anne and her family is to stay in contact with them by writing…..letters are often better than electronic communication. Visit them and put a hold on “judgement” and seek to understand and accept a different way to live in our modern world. I would hope that after several years you would be able to see a happy son and a peace in his life that is different. The Amish do not have formal education after the 8th grade…but believe me that for many there is further education through private reading and study. They are quite intelligent and well informed on a whole lot of topics….whenever I visit with them I learn something new and I live at a residence for priests at a major university! God bless you all and I commend you to attending the wedding. Thanks to Erik and Anne for the subject of this post. Thanks also to all commenters here. Everyone has added to my knowledge & my pleasure at reading Amish America. I look forward to more information re: Ed & Ruth’s lives as a married Amish couple. Congratulations to both, & God bless them richly. I have 2 experiences with friends who have joined the Amish (one OOA and the other Beachy). I watched V slowly evolve into an amish woman starting in puberty. Her father was a member of a Mennonite Church (where my grandmother attended), but he worked for a Navy Contractor (very controversial in our day). She attended LMHS with me, a few years ahead, and by her senior year, V was completely dressed for her future role. After graduation, she found an Amish boy, and the last I knew of her, she had settled down in the Gap area. The other experience I have is with J, who came from Arkansas to study here in Philadelphia. She was my housemate for a while. I watched her negotiate the new world of sewing one’s own clothes. Apparently, since she was beyond traditional courting age, she was permitted to go to college. The last I know of her is when I delivered her household goods to her in VA, about 15 years ago. With both women, there was a cutting off after a while. I guess, as time passed we had less and less common with each other. Rick, it was so good to hear your broader perspective on these Amish settlements and their history with welcoming converts. My son was indeed welcomed into the Pearisburg community, and had another friend there who was in a similar position. This young man converted after meeting (and working with ) an Amish girl. He loved the way of life and loved her, so that’s how his conversion was motivated. For Ed, it was love of the community and the rich family lives he saw, plus the way church life was structured. When the group desired to modernize he had a huge dilemma, but determined that he did not convert in order to live the same life he had known before. I had almost forgotten that this was also known as the Pearisburg group, as we usually referred to it by the tiny town closest to it, Whitegate. We were especially saddened by the events in the group that lead up to the split; the more so because it meant Ed would find a more suitable community elsewhere, and it most likely would not be in Virgina! So that’s one other thing that’s been a difficult adjustment for us: we never imagined he would go so far away. What used to be a 3 hour trip is now a 3 day trip! Again, thanks so much for your comments here! We’ve known about these events from a small and necessarily individual perspective; it’s very interesting to know a bigger picture about the Pearisburg group. Thank you so much for sharing your story and experience with us. Lot of fascinating comments on this post, and I have to say I still haven’t worked my way through everything…but I want to give a big thanks to Anne for taking the time to both share and respond. I hope we’ll be able to share a little more here soon. Inspiring Erik, so glad you got this conversation started. I would like to talk with you about your experience in this situation. I am working on a show for Discovery and we are looking to talk with folks like you. If you are at all interested I think it can help a lot of other people that don not find these chat rooms. I am looking forward to talking with you. Do you acknowledge and confess also that it is a Christian order that there should be one husband and one wife, and can you have the confidence that you have begun this undertaking in the way you have been taught? Answer: Yes. Do you also have the confidence, brother, that the Lord has ordained this our fellow sister to be your wedded wife? Answer: Yes. Do you also have the confidence, sister, that the Lord has ordained this our fellow brother to be your wedded husband? Answer: Yes. Do you solemnly promise your wife that if she should be afflicted with bodily weakness, sickness, or some such similar circumstances that you will care for her as is fitting for a Christian husband? Answer: Yes. And do you likewise promise the same to your husband, that if he should be afflicted with bodily weakness, sickness, or some similar circumstances, that you will care for him as is fitting for a Christian wife? Answer: Yes. Do you also solemnly promise with one another that you will love and bear and be patient with each other, and not separate from each other until the dear God shall part you from each other through death? Answer: Yes. Those are the marriage vows of the midwestern Amish as written in “In Meiner Jugend”. That book is not copyrighted, so I do not think there is any problem with posting them here. Other Amish from other traditions have different vows and some of them are in that little book, both in the High German and a english translation. Tobias is the High German translation of the word Tobit, from the Book of Tobit in the Apocrypha. Much of the main sermon in a Amish wedding is the story of Tobias and his marriage to Raguel. That book is available to read on the internet, just do a search for it. I left out that the above is a translation of the vows. They are spoken in High German. Sorry. Thanks Lance, very helpful info! I wondered where that story came from, as I remember there was something about this in the wedding (we got a written interpretation of parts of the wedding). Thanks again for putting this up here. FYI–the book of Tobit should be in any Roman Catholic edition of the Old Testament Scriptures. Lance, thanks so much for locating this translation. I’ve never realized that Amish faith could share so much with the Catholic faith. I am very excited & pleased with this. There are many things that Catholics and Amish have in common: The hope of salvation instead of assurance of salvation, being redeemed by Jesus, working out one’s salvation (in fear and trembling), the old testament including the seven books. The way they live their life is the most effective way of witnessing. They may not be able to quote from scripture, but their actions speak volumes. My Amish friend once asked me why her Christian neighbors always say God bless you but yet mow their lawn of Sunday? I really had no answer for her. My Amish friend once asked me why her Christian neighbors always say God bless you but yet mow their lawn on Sunday. I really had no answer for her. Thank you for sharing the story of your son. You are clearly a great parent, raising a child who was willing to forgo worldly possesions in search of a greater relationship with God, and also supporting him through this difficult journey. I read your other entry about pictures and look forward to you sharing more in the future. Getting married into the Amish is very hard. You actually have to be pretty determined to overcome many of the hurdles that exist. However, it is those barriers that make the Amish the Amish, without them the Amish would struggle to exist. I have read your postings to my son, Mark. He would enjoy corresponding with your son. Also, Mark related to me that there was a seeker who stopped by to visit Mark who later moved to the Pearisburg community. This man’s name was Chris Petrovich. Mark has lost touch with him and was wondering if you knew where he was and what decisions he has made regarding affiliating with a church? I know Ed would love to hear from your son, and who knows; they may already know each other! My name is Nicole Pomeroy and I was reading a bit on how your son went Amish. I am 18 and living on my own because I got kicked out of home for my wanting to join the Amish. I believe that this is my honest to God path in life that He chose for me to follow.. I was wondering if you or your son could maybe help me on my way to becoming Amish. I have an uncle that went Amish when he was young but I cannot seem to contact him or find him for that matter. I was wondering if you knew any Amish people that I could write to to start my God given journey? Please it would mean alot! I am glad to help you if I can. Would you please write to me at my email address? Then we may converse about this more appropriately. I ooked forward to getting to know you some! Yes! Sure. I just shot you an email and by the way thank you so much and God Bless! Also about the German wedding I don’t think you should be insulted because that is the way they do things but a translator may have been nice. I know by a real Jewish wedding it is all in Hebrew. Ed is Old Order Amish? What I do know though, is an Amish born can marry an Amish convert. In fact that is the case with Anne’s son-and we know of others. Interesting, what you share, thank you. Try posting in another week or so to Ann, our comments get lost soon by new comments so she probably won’t see yours. Thanks for checking in Valerie! We don’t go to MN until the end of the month…sure wish I was there right now. Anyway, you nailed it in your answers. Ed married an Amish born girl. Her father took lots of convincing to let her court Ed, but finally agreed. There is alot of worry about choosing to leave the community, this causes such pain to these families. So they are slow to accept someone from the outside, but Ed has persevered until they could see his seriousness. And I’ll tell you there is nothing wrong with our dear daughter in law. She’s an amazing young lady! But I can see why some cultures would have this approach. Sorry, my mental note of your departure was mistaken-so I’m glad you were able to pop in and share, I imagine the days can’t go by fast enough for you right now! We are anxious for your report too! Lance, thank you for another great teaching-I think all of us interested in these Amish for various reasons, benefit from your learning experiences and hopefully, we will be the better for it as well. I hope we glean from what we learn. And thank you for the reminder we can all fall short. I have been told more than once by Amish, that they are not perfect nor do they want people to believe they are. I spent 2.5 years with a conservative Old Order Amish group. I was told that if I was church member in good standing with the church, the church could not stop me from dating a available church member. I have never been married, so I qualify as available to marry. However, that does not mean it would be easy, as Anne points out above. The parents of a woman can be against the match for whatever reason and that really ends it until they change their minds. I have seen a young woman win her way in this matter, but it was not a pretty sight. That is not always the case, sometimes the young people politely submit and that ends the relationship. Other times the parents like the match and they marry. The biggest fear Amish parents have is that their child will leave the faith and once their daughter is married, she is to follow her husbands leading, so marriage to a man from the outside is a highly discouraged thing. So many have come and later left, the Amish trust almost no one from the outside to stay forever. That makes it even harder to stay. The Amish make themselves self-fulfilling prophets by treating people that way and there is almost nothing that can be done about it. Are converts accepted like regular born Amish people? I did not completely answer this in the first comment. If you convert, when you are baptized, you become Amish. Just as Amish as anyone born and raised that way. You are not more important nor are you less important. At least, that is the way it supposed to be, one can never forget that Amish are mortals too, which they sometimes prove in big ways. I know of two men who converted to the Amish that are ministers and have met one of them twice. Some people rumored that there is third, but I cannot find evidence of him. You are not exempt from the lot anymore than anyone else. The qualifications are the same. In Jewish Law someone who converts is 100% Jewish like everyone else and may marry anyone(with one exception a cohen(priest) descendent of Aaron has special laws with who they may marry and may not marry a women convert) It is just a communal thing that no Chassidic Jew wants a convert for his daughter but according to Jewish Law it is 100% permitted. So in a way, Chassidic is to Jewish law what we’re kind of seeing Amish to mainstream Christianity-a sticter following of rules not found in scripturs but having scriptural principles perhaps. My mother was raise “modern” Mennonite and left the church when she married my Nazarene father. I have many fond memories of visiting my mother’s family in South Dakota. They were always very loving and welcoming to my dad despite the fact that he was from a different denomination and from southern California. I’ve always been interested in faith development & spiritual journeys and find your story & these thoughtful posts fascinating. My comment/question has to do with how Amish regard other Christians. I get that you accept the Amish lifestyle as a valid spiritual path for those Amish communities and for your son. I also agree that we are each called into relationship with God (through Jesus’ sacrifice) in our own way and must find our own path. My question is whether the Amish grant the same validity to committed Christians who are following a different (non-Amish, Protestant/Mainline denomination) path? Do you sense that they accept that you have just as valid a relationship with God as they do even though you’re living in the world? For the most part, the Amish do not wish to judge the non-Amish, Christian or not. Almost all of them are confused that other Christians are so accepting of ‘the world’, but the idea of condemning them for worldliness is not something Amish like to do. They fear that such a judgement judges them instead of the other. See Mt 7:1. The early Anabaptists rejected Roman Catholicism and to this day the Amish still cling to that rejection because their forefathers did. It seems like if a group persecuted the Amish, they remember that group and its persecution in particular. This concept of being ‘worldly’ or not is very important and being unworldly, ie. being ‘godly’ as the Amish see it, is far more important than being scripturally correct in other areas. Now all of that said, even one little thing that the Amish call ‘the world’, that a church member will not give up, gets that person excommunicated and shunned(banned). It would surprise many just how minute a detail can get you banned. I attended 4 church services in Sept. and Oct. with my former Old Order Amish group with the intent of fully and permanently returning and joining church ASAP. Because I ‘knew’ how things were done, I was asked to stop coming because of my vehicle and my computer. When I completely submit and adhere to the rules(ordnung), I can return, but not until then. In essence, I knew ‘the way’, and since there is no tolerance for even slight disobedience from that way, so I had to be separated from the group. Yes, it hurt, a lot, still does and will for quite a while. I still intend to return when I can. My perspective is of very conservative Old Order Amish. Amish in other orders could have differing practices. I wonder what Mark Curtis’ New Order would say? I have dear friends who were Amish & due to their income source a chain saw was needed. Thus the use of this chain saw got the family ex-communicated! That ‘simple’! I think wearing a 17 century outfit is cool. Just like in the film Mel Gibson produced. Fashion designers around the globe should promote all these long dress, head covers and apron. I think it’s cool if these clothes can get a place in our world. Dear Anne, 3 years have passed since you wrote the post and it is obviously that my observation is useless, but I like to say one thing only: I understand your feeling when you and all the “English” people present at the wedding stayed 3 hours there without understand nothing of what they said, you talk about the observation to the command “honour your father and mother” and in some way you are correct, but in the end your son Ed. is joining the Amish and not the contrary, so they have the rights to do the ceremony as they like for their fashion. I don’t want to offend you with my answer. I hope 3 years later your relationship with your son Ed. is good. Have you any news about this joining? Any updates about Anne's son, especially his health? Have there been any updates about Anne’s son’s health? Do they still live in MN? They are in our prayers. May we have a new installment?